NEW ORLEANS – Whole Foods Market is teaming up with the New Orleans Ernest N. Morial Convention Center for this year’s Farm & Table NOLA, the South’s premier conference and festival highlighting locally sourced food taking place September 8 – 9, 2017. One FREE family-fun festival day, the JAMBOREE, offers food and music, tastings, interactive gardening and cooking demos, games, displays, and more. A second day, Farm & Table EXPERIENCE, is a gathering to discuss the cultivation, distribution, and consumption of food and drink, food trends, how to source food locally, and many more compelling issues facing the agri-culinary community. All events are open to the public. In partnership with Whole Foods Market, festival-goers will enjoy a dedicated space within the Jamboree Marketplace, featuring local vendors offering food tastings and giveaways. 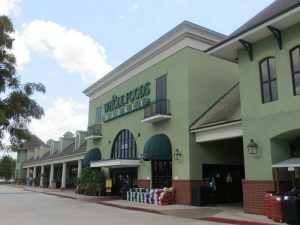 The retailer’s commitment to hometown suppliers and the New Orleans community began in 1988, and has grown through the local presence of the company’s Whole Cities Foundation. The organization, based locally at Whole Foods Market’s Broad Street store, works to improve individual and community health through collaborative partnerships, education, and broader access to nutritious food in the communities we serve. Proceeds from Farm & Table NOLA will benefit Whole Cities Foundation. “Consumers continue to educate themselves about the origin of the food they’re preparing for their families and are more selective in what they buy. It makes sense to partner with Whole Foods Market because we share a similar purpose – ‘to inspire and empower people to make the best health-supportive, delicious food choices to maximize personal health and vitality.’” said Farm & Table NOLA Director Katie Calabrese. Chefs Taste Challenge (September 8) – A cooking competition aimed at broadening awareness for the use of fresh, healthy and sustainable ingredients. Ten chefs from the southern region will be selected to prepare a dinner entrée tasting course, and the guests will be asked to vote for their favorite dish. The chefs are required to select from lists of featured ingredients that are fresh and in-season. Registration is now open at farmandtablenola.com. Farm & Table NOLA is co-hosted by the New Orleans Ernest N. Morial Convention Center and the Louisiana Department of Agriculture and Forestry, in partnership with Whole Foods Market.